The Dawgs were born in Beverly, Massachusetts, (just north of Boston) in the late 1970's. Ispired by sixties garage bands and local idols Real Kids, the band recorded a killer three-song EP on Greenline Records in 1979. 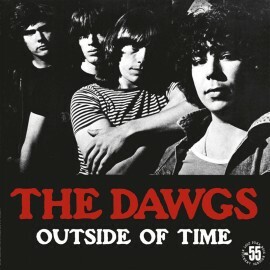 After this ‘classic’ 7”, the band released a first full album on Star-Rythm Records and one anthology on New Rose Records. Now, finally in 2009, this amazing band is still available on Lp with the best selection ever that includes lotsa of great unreleased studio stuff + their immortal hits!!!! Absolutely a must for every Boston rock’n’roll fan.